This ornate dagger would have been a knight’s best friend after his battle sword. 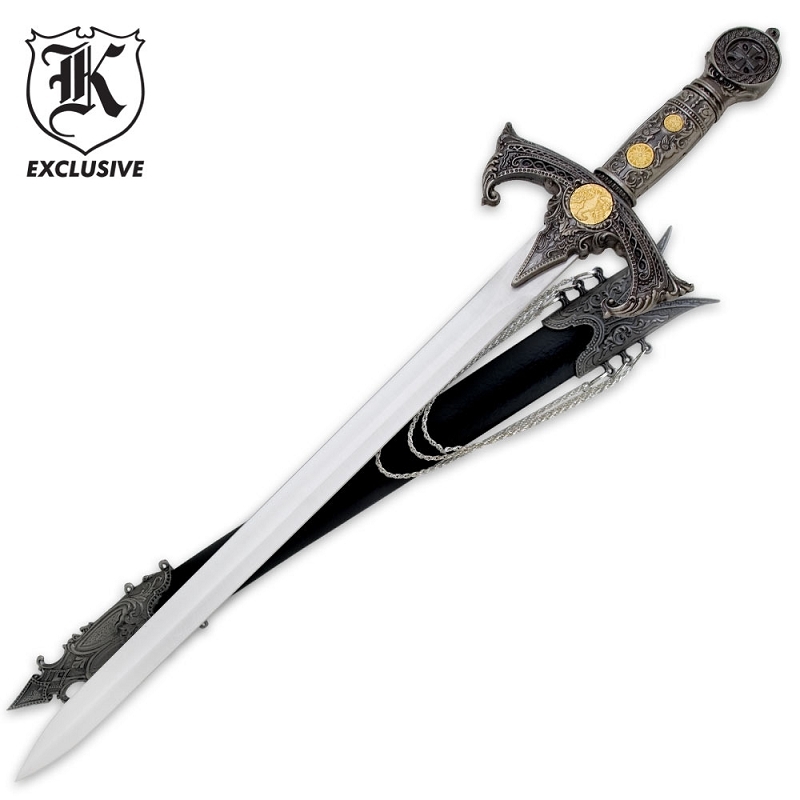 This replica weapon measures 22" overall and offers a 14 1/2" stainless steel blade with a mirror finish. The cast metal handle, guard, and pommel are covered with ornate symbols and engravings. Includes a coordinating sheath with cast metal tip and collar.